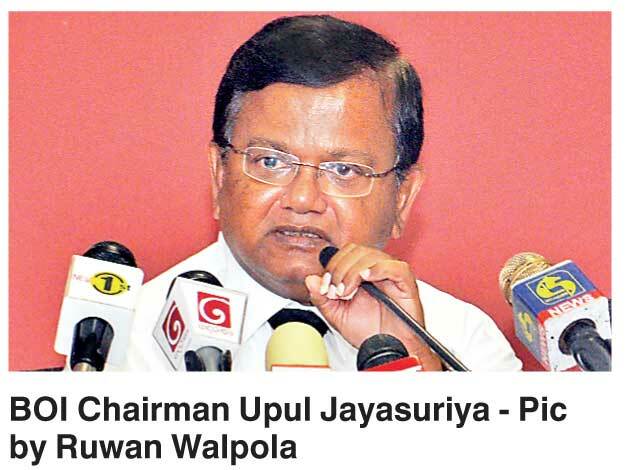 Board of Investment (BOI) Chairman Upul Jayasuriya was confident of turning around low FDI inflows in 2017 through more projects in Colombo, including a $ 200 m mixed development project from Singapore’s famed Mustafa’s and a new investor for the former Crown casino property. Outlining plans for 2017, Jayasuriya stopped shy of naming numbers but insisted that if Government plans to open up new investment zones in Hambantota, Kandy, Kuliyapitiya and elsewhere bear fruit then FDI numbers would perk up. He also highlighted a joint venture between the BOI and Singapore’s Surbana Jurong to employ Sri Lankan professionals in projects Surbana is doing around the world. The venture received Cabinet approval in July 2016. Another project in the pipeline is Singapore’s Mustafa Centre, which hopes to start a $ 200 million mixed development project in Kotahena. Land that was earlier earmarked for a controversial Crown Casino will also see a new $ 75-$ 100 million hotel and mixed development project while another chunk of land along the Beira next to Mackies is being considered for $ 200 million. “These need to be done together so that is the challenge. The Government has about 220 acres of land in that area, which would be perfect for development. There will be problems when it comes to investment but we have to come together and think up solutions,” he said. Pointing out Sri Lanka’s downward trajectory on the World Bank Ease of Doing Business Index, Jayasuriya also called for legal reform to be given more attention so companies can enter and exit Sri Lanka more easily.